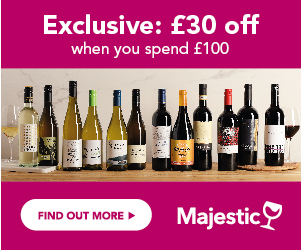 Find the best discounts on Barefoot wines. Compare current offers and sign up to Price Alerts to know when the price of your favourite bottle drops. Search for Price History, vouchers, awards and reviews to make the best buy with Wines Direct! Barefoot wines have taken the UK market by storm, since their launch in 2005. An easy-drinking style of wine, with the focus on modernity, and fun, Barefoot first appeared on shelves of convenience stores, rather than the big supermarkets, but rapidly gained a stronger hold on the market. It was the fastest growing brand in the UK in 2011, and is now the 5th largest Californian wine brand on our shelves. With its distinctive, coloured footprint label, it brings a modern, lifestyle edge to Californian wines. The philosophy of this brand is all about fun, and not taking wine too seriously. Barefoot focuses on supporting a number of charities, including the highly successful Barefoot Beach rescue project and the Walk with Barefoot challenges, which support several different charities. Unlike many big wine brands, which focus on heritage and history, Barefoot is an unashamedly modern style of wine, which focusses on lifestyle and fun. It only appeared on our shores in 2005, after a hook up with better-known, and fellow Californian brand Gallo. Created initially in 1985, the Californian founders stepped up the heat in 1995, with the bold launch of a wine that ‘didn’t take itself too seriously’, and with an even bolder footprint on the label. The brand has an almost cult following of fun-loving, charity-supporting wine drinkers, who have been supporting the brand’s summer charity focus to build community spirit across the UK, and get people involved in clearing a number of UK beaches, in conjunction with the charity ‘surfers against sewage’. In 2012, over 1,000 people helped clear over 4,000 tonnes of rubbish, from 14 beaches across the country at Barefoot organised ‘beach clean’ events, including clearing enough empty plastic bottles to build a tower 24 times the height of Blackpool Tower! What Styles Of Wine Do Barefoot Make? Barefoot wines are all about fun, relaxation, enjoying the outdoors, and not taking life too seriously. The wines are easy drinking, fruity and lively, across a variety of different styles. There are 8 wines in the range, 3 white, 3 red and 2 Rose. White wines – ranging from the dry to sweet style, there’s a refreshing, soft, dry Sauvignon Blanc, a medium dry style of peachily fruity Pinot Grigio, and the new star on the block, an intensely fruity, sweet, yet refreshing Moscato. Rose wines – both sweet styles, the traditional Californian White Zinfandel, and the pink take on the current hot craze, Pink Moscato, effervescent, sweetly ripe and full of luscious strawberry fruit. Red wines – there are 3 in the range, easily labelled as lighter to full bodied styles, with a fruity Merlot, a well structured, juicy Cabernet Sauvignon, and a fuller, spicy Shiraz.